LOS ANGELES, March 14, 2013 -- "Dolls with a Conscience." Plinio J. Garcia, Franceil Masi and Andrew Ruesch have formed a partnership called Indy Plush. 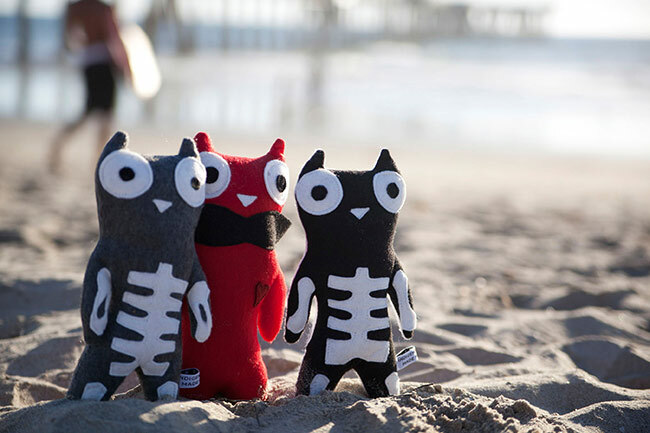 Indy Plush is a Green America Certified organization that designs, makes and distributes plush dolls, clothing and books inspired by children and made in Los Angeles. The filler in the dolls is made from 100% recycled plastic bottles that are locally melted and spun like cotton candy. The adorable baby onesies are 100% organic cotton. Franceil Masi, a kindergarten teacher designs the dolls, while her partners, Andrew Ruesch and Plinio Garcia, market and operate the business, calling themselves "plush pushers."